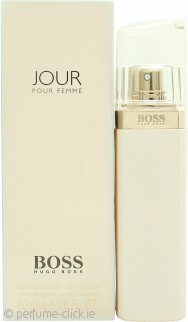 Boss Jour Pour Femme by Hugo Boss is a light and fresh floral fragrance for women. A perfect spring fragrance, it is not too old and it’s not too young – it’s elegant, sophisticated and very feminine. The mixture of fresh fruits and sweet flowers adds an air of cheerfulness to the composition while the creamy amber, orris and white birch adds femininity. Boss Jour Pour Femme was launched in 2013.